The perfect safari and beach vacation in Africa. A tropical beach experience at the chic Banyan Tree Resort & Spa in the Seychelles followed by a luxury safari at Singita Boulders lodge – South Africa's most exclusive private game reserve. Your safari experience: Private plunge pools, beautiful views and contemporary living await you on this wonderful vacation. Singita private game reserve located in the world-renowned Sabi Sands reserve of South Africa is a vast expanse of pristine wild Africa offering the perfect first safari experience. A great introduction to the luxury safari lifestyle and premium big five game viewing of Africa. This exhilarating safari experience follows a refreshing start at the luxurious Banyan Tree resort in the Seychelles. 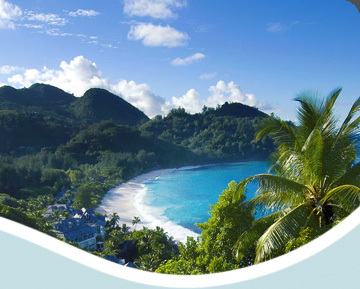 Enjoy preferential seat allocation and worldly comforts aboard the Air Seychelles Pearl Class service. Sample culinary delights from International and Seychelles Creole cuisine and private in-seat entertainment from Seychelles to South Africa.